Respirator masks of protection class FFP3 offer the greatest possible protection against air pollution. Carcinogenic and radioactive pollutants and pathogens such as viruses, bacteria and fungal spores are filtered by this protection class. Total leakage must not exceed 5 %. Used, for example, in the chemical industry. 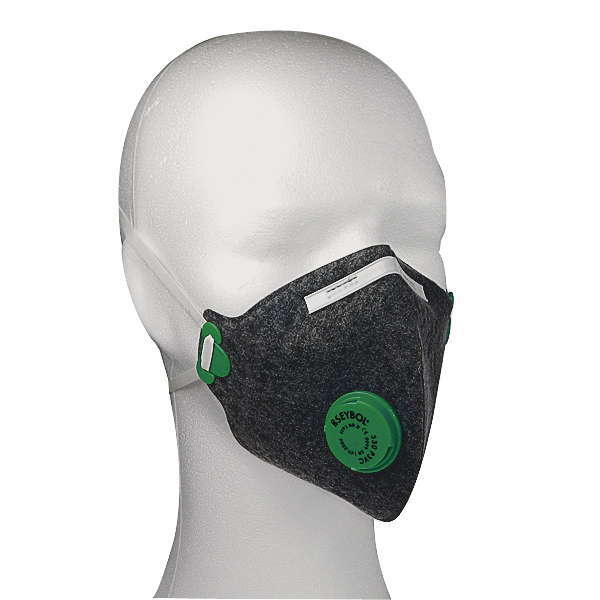 This respirator mask has a carbon material integrated, so it reliably protects against unpleasant odours, gases and vapours below the limit value. In addition, the mask has a exhalation valve to reduce breathing resistance and to reduce heat and moisture development under the mask.